Jeffersonville has opened it’s first dog park at Highland Park, located at the end of Spruce Drive off Plank Road. The Park is divided into 2 enclosed areas. One acre is designated for large, active dogs over 25 lbs, and includes some agility equipment. A separate 3/4 of an acre is designated for smaller dogs, less active, older, or shy dogs. Drinking water is provided for guests and their owners. The park also features a walking trail, picnic tables, benches, trees, landscaping, and a pergola. A key fob is required to gain electronic entry through the safety gate. Once inside, a 5 foot perimieter fence with double-gated entry keeps you and your dog securely inside. 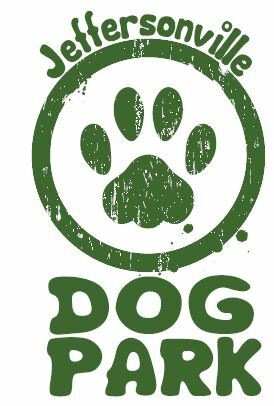 Only registered dog parks dogs will be eligible to enter. If fees or vaccinations are due, the key fob will not work until the parks office is provided payment or proof of updated vaccines. Your pet must be payed or neutered, and at least 4 months old. Required vaccinations include Rabies, Bordetella, Distemper, Parvovirus, and Leptospirosos. We strongly recommend a negative stool sample (for parasites) but it is not required. To obtain a key fob, interested Jeff residents should bring proof of vaccination and spay/neuter information to the Jeffersonville Parks Department office at City Hall. They will also complete a useage agreement and pay an annual fee of $50 per household. The renewal will be annually from the time of application. If you lose your key fob, a replacement can be provided for $10, and the old fob will be deactivated. For more information, please view the resources below, then contact the Jeff Parks Department at (812) 285-6440.